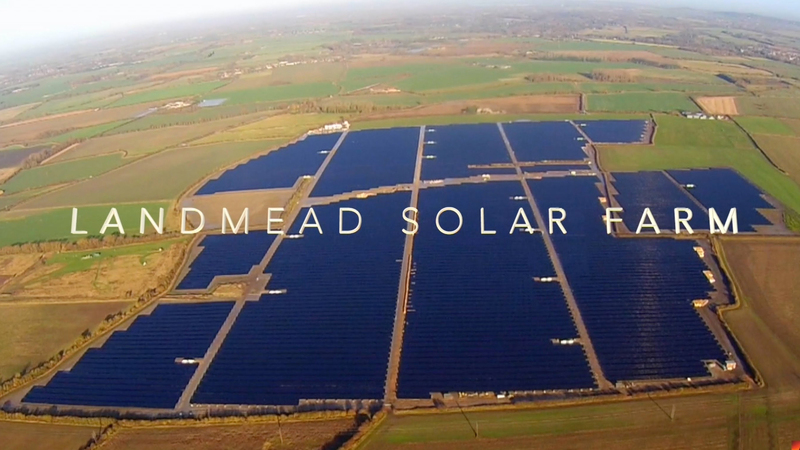 The largest solar power plant ever proposed in the UK will be reviewed by the secretary of state within the next six months. Cleve Hill solar farm will occupy the north coast of Kent and, if built, provide up to 350 MW (megawatts) of generating capacity. The plan is for Cleve Hill to generate the lowest cost electricity on the UK network without needing subsidies to stay afloat. There have been subsidy-free solar installations before but nothing like Cleve Hill's 1,000-acre development. The plant will also include battery storage "“ giving the operators the option of storing when the price of electricity is low and selling when it's high. So why is this such a landmark moment for the UK's electricity supply? Well, there are now nearly a million solar systems in the UK, which includes everything from solar panels mounted on roofs to farms occupying entire fields. The rate of deployment has waxed and waned over the last ten years "“ largely determined by the level of subsidy the government was willing to offer. When subsidies were high, the installation rate grew exponentially, with the peak number of installations doubling every few months. When subsidies fell, installation rates plummeted. Today, the installation rate is very low because there is virtually no subsidy and it's very hard to make money out of solar. However, Cleve Hill could show that money can be made without subsidy, and where one project goes, others will follow. This could be the moment that solar installations start to grow again. When we at Sheffield Solar, a research group based in the University of Sheffield started researching the impact of solar on the UK electricity grid back in 2010, we wondered what would happen when solar power generation became so cheap that the government couldn't control the growth of installation anymore via subsidies and incentives. Cleve Hill seems to mark the moment when solar energy becomes self-reliant. But maybe it's not so simple. Cleve Hill makes financial sense because it's so big. But big comes with implications. Some of the public support for energy generated by photovoltaics (PV), the technology that converts sunlight into electricity, comes from its easy integration into the built environment. Solar panels on roofs make sense to the public because electricity generation is happening at the point of use. Solar farms make sense to investors because they are cheaper to install per unit of electricity but also bigger "“ so finance can be accessed in larger chunks and investors can make more money. If Cleve Hill signals the start of subsidy-free solar "“ but only for huge systems that take up vast swathes of countryside "“ what does that mean for solar roofs? Can global growth in solar generation reduce the costs of rooftop systems so that we start to see a balance of large and small systems being installed without subsidy? Cleve Hill has to get agreed at the highest level of government and has to be developed with input from local authorities and electricity network operators "“ it can be planned into the national infrastructure. Subsidy-free rooftop solar would be far less controlled. This could be a big problem "“ or perhaps a golden solution. The UK also has a 7GW nuclear power capability that can't really be switched off. This combination of nuclear, wind and solar means that on several occasions this year the contribution from gas and other fossil fuels has fallen to about 20% of the national demand. Imagine if subsidy-free solar is a real possibility and solar installations were to double in number over the next few years to create a 25GW peak capacity. If these new systems were rooftop then they would be embedded deep within the electricity network at points where there is high electricity demand "“ although there would still be a problem with balancing supply and demand. We'd also need to know where all the energy was coming from "“ rooftop solar is hard to track and measure. Cleve Hill, and other large scale solar facilities, are controversial because of their potential environmental impact "“ the lowest cost installations will always involve finding huge areas of land that can be exploited cheaply and there will always be an environmental cost in construction. They also create problems for the network operators because they create large and uncontrollable power flows according to the weather. However, from a grid control point of view, a 350MW solar farm with a battery store is the perfect solution "“ the power flows will be monitored and easy to predict as any additional generation will be stored onsite. So maybe there is no conflict between solar farms and solar roofs after all. Instead of a future dominated by one or the other approach, maybe we'll see subsidy free solar farms to start with, and as costs drop further, and there aren't any sensible solar farm locations left, rooftop deployment will become economically viable again.